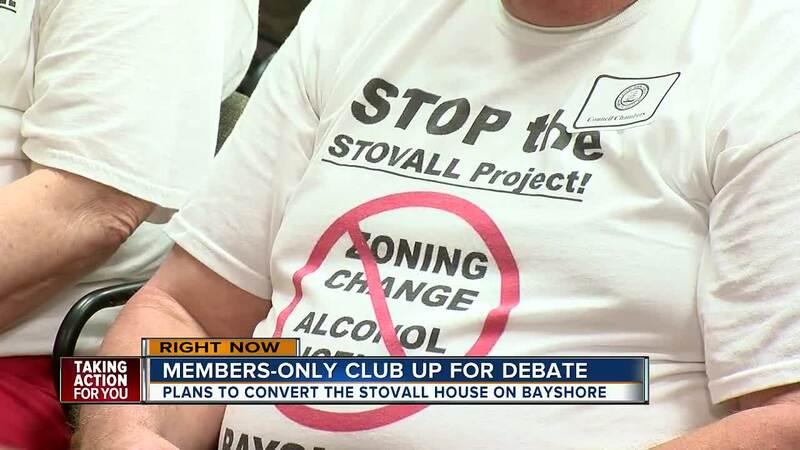 TAMPA, Fla. — Tampa City Council voted to move forward with a plan to convert a historic home on Bayshore Boulevard into an exclusive social club early Friday morning. 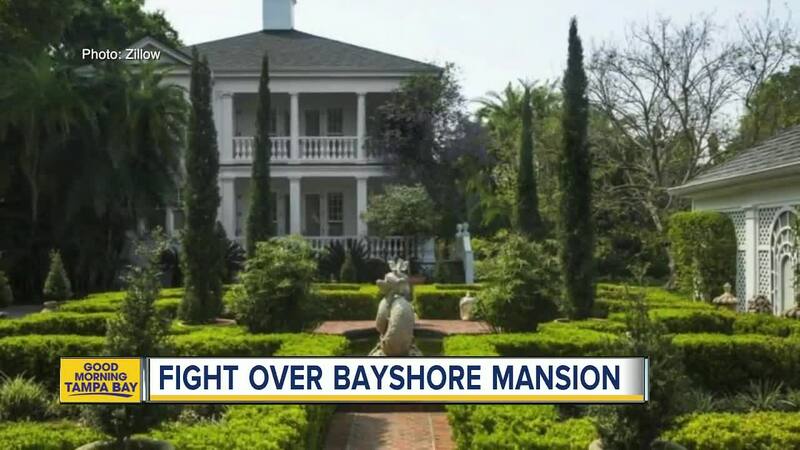 Blake Casper, the owner of Oxford Exchange in Tampa, said he wants to re-purpose the Stovall House into a social club with private parking, dining, and five overnight guest suites. Some are worried that his plans to convert the home will attract more traffic to Bayshore Boulevard and threaten pedestrian safety. Opponents of the project started an online petition to stop the conversion of the historic home into a social club. It has more than 500 signatures. Other major concerns neighbors have are that is if the renovation is approved, the property will be able to have a liquor license and will be able to serve alcohol within 50 feet of nearby homes. "Commercial development is not compatible with my single-family neighborhood and alcohol has no business being sold two doors from my house," said Mary Estes. Dozens of people who oppose the project spoke out at City Hall Thursday night. Members of city council heard from both supporters and opponents for several hours. "When I bought my house 30 years ago, I never imagined that I would one-day plea to protect the value of the biggest investment of my life," said Estes. The controversial project received a hall of fame endorsement as former Bucs linebacker Derrick Brooks stood up to show his support. "I got immediately excited about it, the concept," said Brooks. "And I fell more in love with what he wanted to do." Thursday night, Casper vowed that the conversion would protect the peace and privacy of neighbors. "We believe it respects and cares for the neighborhood," said Casper. "We believe it will enhance the neighborhood. We believe it will be a community asset for Tampa." After 1:00 a.m. Friday morning, city council approved the Stovall House rezoning and permit requests by a 4-2 vote. “Thank you to our supporters, our team, and our City Council for the difficult decision. We appreciate the opportunity to reimagine and preserve the Stovall House for generations to come. 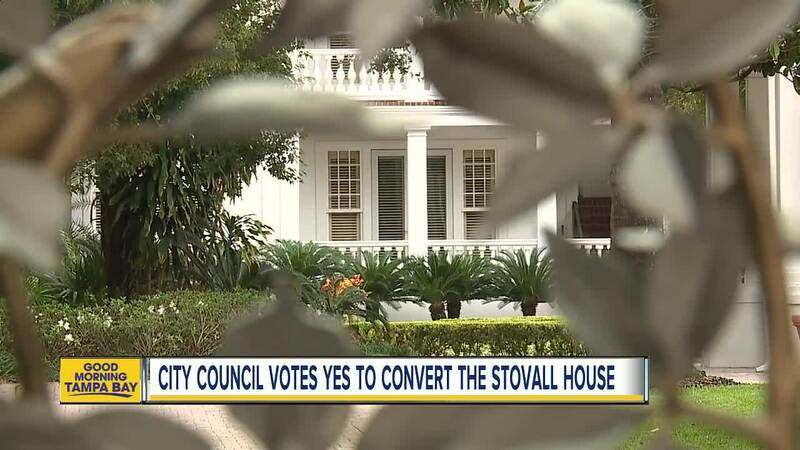 Tampa is leading the way with innovative projects like the Stovall House,” Casper said in a statement following the approval. The final hearing on the project will be held on Thursday, September 20.